The UK’s coastlines, incredibly, now have more offshore wind turbines than the rest of the world put together, according to a government report. Now another £21 billion investment is planned in the sector. The report, “UK Offshore Wind: Opportunities for trade and investment,” says the UK is the best location on earth for the green energy source. There’s 5.5GW worth already set up or soon to arrive, and the new project “represents the largest expansion in any class of renewable energy technology,” the UK Trade and Investment agency says.
. In July, Siemens proudly announced installation of 10GW worth of wind turbines (not specifically offshore) across Canada, the US, and throughout South America. That’s enough to supply about 3 million households. The plans are being put in place by a collaboration of organisations involved in sustainable power, including UKTI, The Green Investment Bank, The Crown Estate, RenewableUK, and the Offshore Wind Programme Board. gov.ukSoon more than 5GW of wind energy will be produced in the UK. 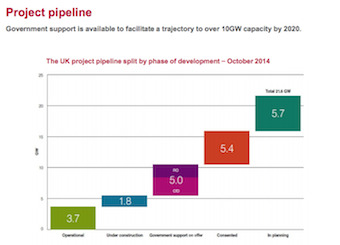 By 2020, plans call for more than 10GW. Speaking at Manchester’s RenewableUK conference this month, Energy and Climate Secretary Ed Davey said the initiative sets out why the UK was the world leader for doing business in offshore wind. Ernst & Young has ranked it No.1 in its past six studies of the market. For a further perspective, in March, the Indian wind turbine manufacturer Suzlon celebrated — through its subsidiary Senvion — reaching the 10GW mark for onshore and offshore capabilities globally. Astonishingly, 7.5GW of that is in Europe. 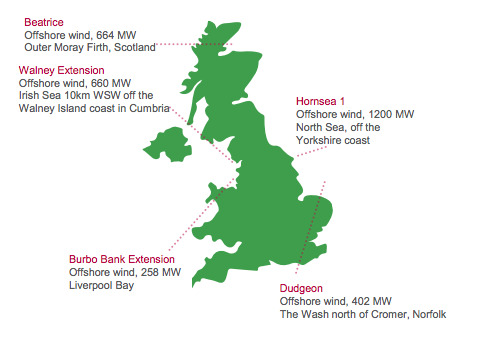 The UK investment strategy will see turbines spring up around the country’s shores. Beatrice in Scotland, Liverpool Bay, and Dudgeon in Norfolk are all set for growth. 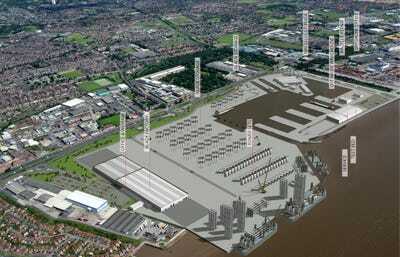 In the new report, Siemens Wind Power selected Hull to be a major part of its environmental program. 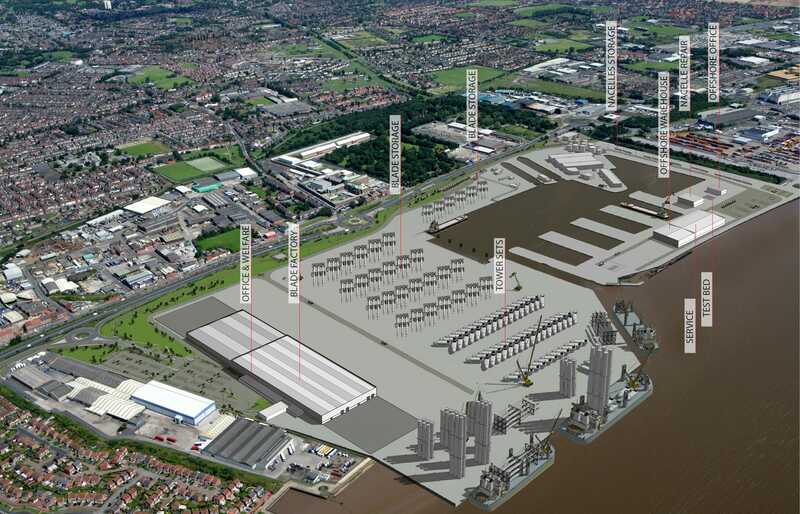 A £310 million investment (split between Siemens and Associated British Ports) will see the blades for wind turbines built at a new plant, all intended for the “next generation” of offshore energy. “This investment demonstrates our ongoing commitment to UK manufacturing and confidence in the industry,” writes Matthew Chinn, Siemens’ UK and Ireland managing director. The output of the Hull site will be approximately 600 blades a year — and the factory will create 1,000 new jobs, the Hull Daily Mail says. Not everyone supports wind turbines, however, with some arguing that they spoil views and could damage ecosystems. Donald Trump recently battled a development in Scotland — the Daily Record reports Trump argued a new farm would ruin his Aberdeenshire golf course. There’s also a handy interactive map that shows you where all the offshore wind farms are across the globe.